And just to get to work with this character is great. 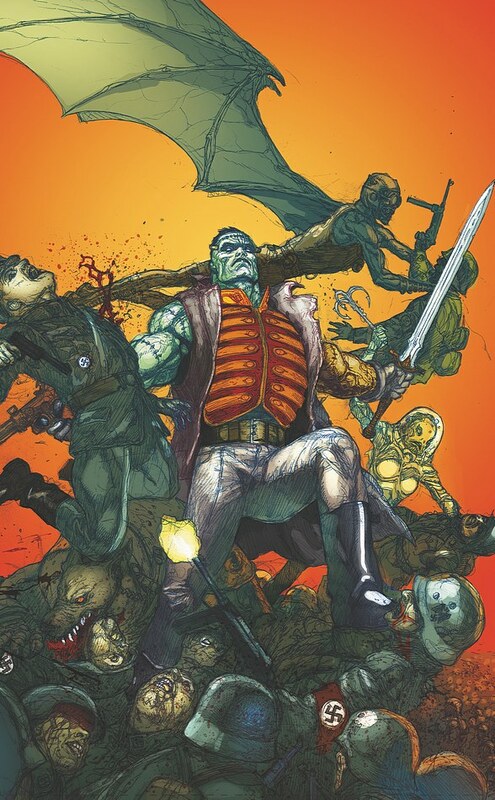 When Grant Morrison’s Seven Soldiers stuff was coming out, I thought the Frankenstein mini-series the best part of it. I always wished that DC had done something more with the character. So it’s really cool for me to do it. I mean, it’s also intimidating to write a Grant Morrison character. If you try to be like Grant Morrison, you’re doomed to fail. You just have to take the character and do your thing with it. I’m definitely not trying to replicate his style or even his take on the character. I’m just trying to take the essence of the character he created and do my own thing with it. The first issue of the three issue mini-series arrives in comic book shops on June 8, 2011.